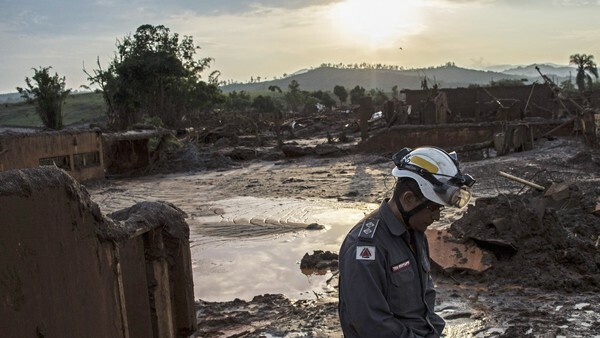 Mining disaster in Brazil: Are the rewards really worth the risks? The mining nightmare scenario just took place in Brazil, and unless the industry fundamentally reforms the way it operates, it won’t be the last time. Last week in southern Brazil the collapse of a dam containing millions of cubic meters of liquid mine waste sent a flood of toxic mud into the valley and six villages below. As of this writing, six people are confirmed dead and twenty more are missing. Estimated damage could be $1 billion dollars. It’s one of the worst industrial mining accidents in the history of the industry; and is the nightmare scenario those of us who track the mining industry knew would happen. Unless the industry immediately and fundamentally reforms how it operates, it will undoubtedly happen again. While the specific causes of the collapse at the Germano Mine (owned by BHP and Vale) will take time to clarify, the disaster is part of a recent pattern of tailings dam collapses at large mine sites. Last year a collapse occurred at the Mount Polley Mine in Canada and a massive spill of solvent extraction solution occurred at the Buenavista del Cobre mine in Mexico. Two key factors play into these disasters: (1) The sheer volume of the waste that is being contained in the tailings dam and (2) A lack of thorough and independent oversight of the facility. Modern mining generates truly astonishing volumes of waste. To give an example, the amount of gold mining needed to produce one wedding ring generates 20 tons of waste. Modern mining technology allows companies to mine lower-grade ore bodies that previously would not have been economically viable. This exponentially increases the volume of liquid and solid waste that has to be contained. You can’t simply dump the waste down the drain (although some companies in effect do that by pumping it into the ocean). At large mines, tailings “impoundments” (also called “ponds”) can sometimes have a circumference of five kilometers or greater. These hold the liquid waste (which often contains toxic chemicals like cyanide) until – in theory – it evaporates and the solid residue remains. The problem is that many mines are in areas that are affected by earthquakes and/or “extreme weather events” such as monsoons and hurricanes which can cause the impoundments to fill and send the liquid spilling over the top. Many mining projects, especially in developing countries, are essentially self-regulated. Government inspectors lack capacity and resources to do thorough checks on the structural integrity of tailings impoundments. Even in the US there are no construction regulations for tailings dams, and there is no federal agency in charge of inspecting them. The same lack of oversight and regulation applies to assessing funds that should be set aside to clean-up costs and response to disasters like Brazil’s. Companies simply don’t put up enough money for these costs, and governments let them get away with it. These massive projects are always risky. And the risks they present to the environment are too often not fully accounted or prepared for, and very often are not fully presented to the local communities who might be impacted by them. Companies dismiss the possibility of catastrophic events like that in Brazilas “remote,” yet they’re happening with greater and greater frequency – in large part due to the massive volume of waste they are attempting contain. (See this report co-authored by mining expert Dave Chambers of the Center for Science in Public Participation). Having access to independent information assessing these risks is an essential piece of the “informed” part of free, prior and informed consent (FPIC), which, as we’ve documented in our Community Consent Index, BHP has endorsed (and Vale has not). The immediate need in Brazil now is to help the people whose lives have been ruined by this calamity. Hopefully the Brazilian government has the wherewithal to do that, and the political will to hold Vale and BHP accountable. The industry must also use this nightmare as a sentinel event to get serious about changing the way it does business. A thorough independent review needs to be undertaken of the continued viability of constructing mines of this size and the use of such massive tailings impoundments. Mining companies must fully disclose the risks of disasters like this – not as remote possibilities, but as very real ones – to all stakeholders, particularly local communities, and put up independently assessed surety bonds with adequate funds to fully cover clean-up costs if and when disaster strikes. These steps will help local communities like those in Brazil that are most directly impacted ultimately decide whether this kind of mining really is worth the risk. Keith Slack is the Global Program Director of Oxfam America's Extractive Industries team. 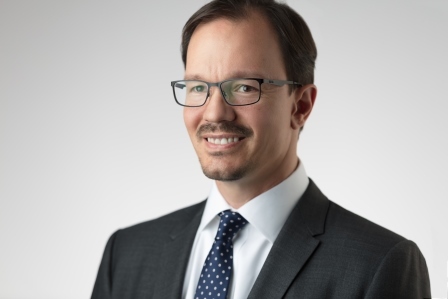 He worked previously for the Robert F. Kennedy Memorial Center for Human Rights in DC and Catholic Relief Services in Peru. He has published articles in Ethics and International Affairs, Human Rights Quarterly and the Los Angeles Times. Resolving company-community conflicts: What’s the role of corporate leverage?